hey jen renee: what time is it? Gearing up for another Market Day this Saturday! This is the last time this season you’ll be able to catch Market Day and the Farmer’s Market at the same time, so make sure you don't miss it. Market Day will have their biggest group of vendors ever, from all across the state. Join us at 118 SE 4th Street in the East Village (next to the Garden) from 9 am – 2 pm for handmade, art and vintage items. Ready for some oh-so-lovely product modeling? Because I've been knitting a ton of cowls and neck warmers to sell. And I've got to show you all the great colors. Here I am swatting away tiny bugs. 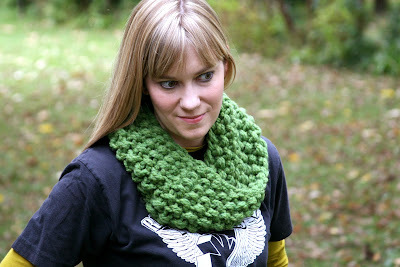 But doesn't the neck warmer look awesome? 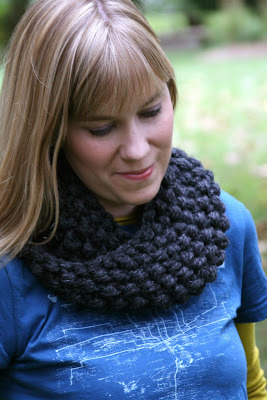 Charcoal cowl. Thick and chunky and super warm. A random stripey skinny scarf. It's super long. Made with hand-dyed Noro yarn from Japan. 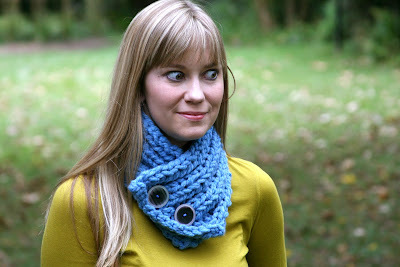 And an extra large mushroom cowl. I really love this one. They can be pulled over your head, too, to cover your ears. (It is officially fall, you know!) There are even more hand-knit goodies that I haven't shown here so you absolutely must come out and see everything in person at Market Day this Saturday. Hope to see you there. e.t.a. No worries if you live out of state or can't make it this weekend. I'll be listing all of the leftovers that didn't sell plus new ones in my Etsy shop next week! man..i don't know what i want more...to knit for myself or just buy from you?! love the colors! wish i could come to market day! those are lovely, great colors. wish this were the weekend i'm going to iowa. these look great! I'm headed out of Iowa to WI this weekend, so I'll have to watch the Etsy shop next week! Ok I seriously want the blue one with the buttons, the orange one and grey. They are just the loveliest things I have seen in quite some time:) If they sell out can you do custom orders? Jen! OMG- I have to have some of these....I am going to try to get to Market day, if not, I will call you, seriously....I need these, and maybe for holiday gifts. P.s- I have put my own knitting ventures on hold, so buy them I will!! I want them. I love the blue button one. And that charcoal gray is the most perfect shade of gray. I must have at least one! Can I custom order with you when you get back from Market Day? I love the pumpkin coloured one, so pretty! I can't wait for it to get chilly enough to wear these with cardgans and skirts and tights :) Good luck at the Market! these are awesome, good luck at market day!! Jen these are all gorgeous! what a genius idea! much more put together than a scarf. is there anything you cannot make??? !! i will be stalking your etsy. Gorgeous yarns!! Love all your projects! Good luck, hope you sell out! well, they are no mMatty's balcony caliber of modeling, but you still look way cute. 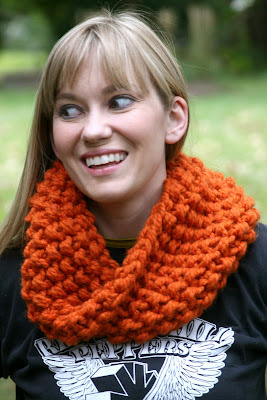 I love those cowls-you're so crafty!! 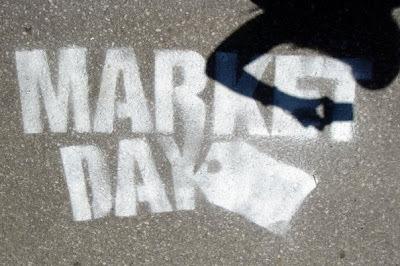 so wish I was there to hang with you at market day. Omg Jen! 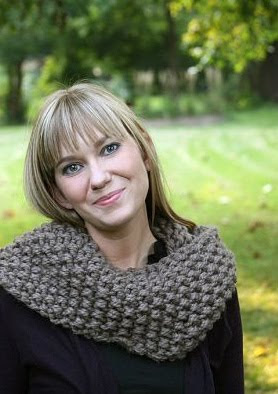 Totally in love with that mushroom cowl, it's gorgeous! I picked up my crochet hooks again mid-July in anticipation of fall and I'm so happy it's finally here. I picked up my crochet hooks again mid-July in anticipation of fall and I'm happy it's finally here!